can come as a big surprise. 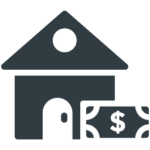 We happily offer a variety of financing options so that you can get back to living in comfort immediately. Green Sky is a third-party lender offering a variety of programs. Please call our office or email us for specific details. AC Credit is a third-party lender that offers a variety of financing programs. Feel free to call our office or email us for specific details. We're happy to chat with you about specific plans we offer, and for the real nitty-gritty fine print stuff we encourage you to contact the financing company when you are ready to start the application process. Our financing partners offer online applications and excellent customer service to help you through the application process and answer any questions you may have.